Why Should You Trade Bitcoin? Bitcoin trading is actually pretty straightforward once you get the hang of it. Being the premier cryptocurrency, it is pretty straightforward to buy and sell them as and when you want to. Bitcoin has a history of volatility which has brought in a lot of traders and media interest into the ecosystem. Let’s get started learning how to trade bitcoin! Every time Bitcoin’s price rises, new investors and speculators want their share of profits. It is extremely easy for anyone to trade Bitcoin as the barrier for entry is so low. So, how do you get your slice of the pie? 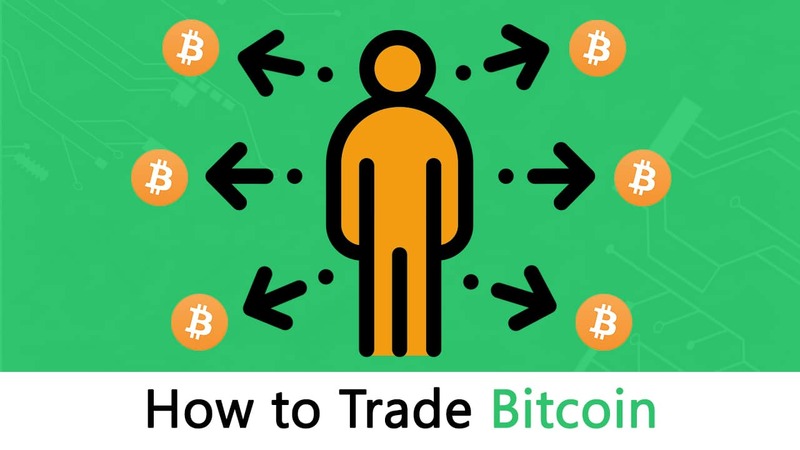 What do you have to do to make sure that you are going to trade bitcoin in an efficient manner? The reason why you should invest in Bitcoin, and cryptocurrencies in general, is because there is nothing quite like it. There are several features which makes Bitcoin trading both exciting and unique. Bitcoin isn’t fiat currency, i.e., it is not under the control of one single government. So, instead of one single economy having a stranglehold over the price of the asset, Bitcoin’s price has reacted to a wide range of events. 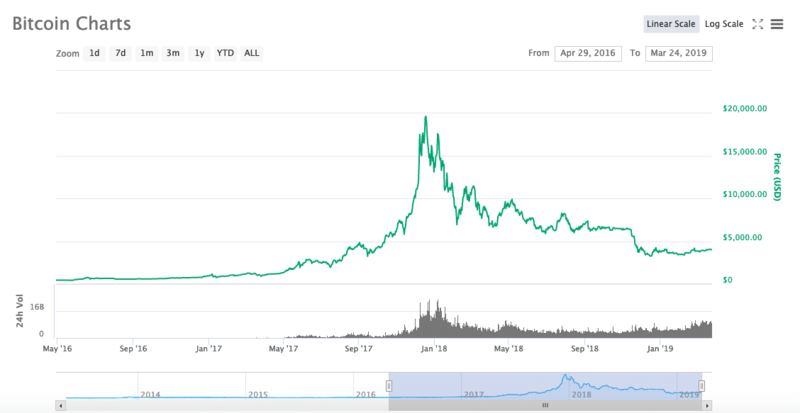 Let’s look at some events over the last few years which has affected the price of Bitcoin. UK’s decision to opt out of the European Union has caused quite a scene with their local economy. As a result of this, exchange giants Binance had stated that they have been “overwhelmed” by registrations for its new Jersey-based trading platform because of insane demand. Binance Jersey allows users to trade euros and British pounds with bitcoin and ethereum and access digital asset management services. Demonetization was a move by Indian Prime Minister Narendra Modi which made the Rs. 500 and Rs. 1000 notes non-legal tender. Just 18 days after the demonetization declaration, Bitcoin’s price on Zebpay, one of India’s leading exchanges, went up from $757 to $1,020 (per bitcoin). Back then, BTC was trending for $770 in the US. Immediately after Trump’s victory, the markets started falling. Dow Jones, S&P 500 and Nasdaq were all plummeting. Quite similarly, Australian markets lost USD 30 billion. However, Bitcoin was a whole different story. Just before the election night, it went up to $740 due to problems encountered by the Mexican peso. After that, it went down to $705 and then went to $739 as soon as Trump got elected. Unlike stock markets, Bitcoin is open 24X7. The reason being stock markets are specific to the country they operate in and usually reflect the working hours of that country. Anyone can purchase bitcoin on most of the exchanges. There are hundreds of exchanges around the world that operate 24/7. Meaning you can trade bitcoin 24/7! Bitcoin and cryptocurrencies, in general, are infamous for its rapid and frequent price movements. This volatility can help traders make an easy, quick buck. Before you invest in an asset, you should at least know how it works. We have covered the mechanics behind the crypto several times here in detail. However, for the uninitiated, we will give a brief overview. If you are already aware of the mechanics, then please skip to the next section. Bitcoin was created by an unknown programmer who goes by the pseudonym “Satoshi Nakamoto.” Bitcoin is powered by blockchain technology. The blockchain is a time-stamped series of immutable record of data that is managed by a cluster of computers not owned by any single entity. Each of these blocks of data (i.e. block) are secured and bound to each other using cryptographic principles (i.e. chain). Ok, so what does that mean in simple terms? Check the records that have been logged into the ledger. Check the time at which those records were logged. Cannot tamper with any of the previously made entries because the ledger is immutable. This property of “immutability” is one of the most important features of the blockchain and it gains it through cryptographic hash functions. That is what Bitcoin gave to us, the first proper implementation of a technology which can act as an immutable and transparent ledger. This innovation gives us a system which is completely incorruptible and free from human corruption since each and every transaction made into the blockchain can be checked. One of the most valuable things about Bitcoin is that you don’t need to go through a bank to send a transaction. As the community likes to say “you are your own bank.” So, how do they manage to do that? Through public key cryptography. Every Bitcoin user has a private key and a public address which are both mathematically derived from each other. So, how does it work? It is actually pretty straightforward. The public address is like your account number and the private key is like your PIN code When you receive Bitcoins, people will send it to your public address. You can then send your Bitcoins to anyone via your private key. You should reveal your public address to everyone. You should never tell your private key to anyone. This should give you a brief idea of what Bitcoin is and how it works. This is the reason why Bitcoin has become such a big deal. Now, let’s look into how can get your hands on some, the first step to learning how to trade bitcoin! The exchange serves one of the most critical functions in the crypto ecosystem. It acts as a portal between the Fiat world and the crypto world. A cryptocurrency exchange is similar to a stock exchange, but with a focus on cryptocurrency tokens rather than stock trades. Put simply, a crypto exchange is a platform where customers can buy and sell cryptocurrency assets. To make the process as beginner-friendly as possible. 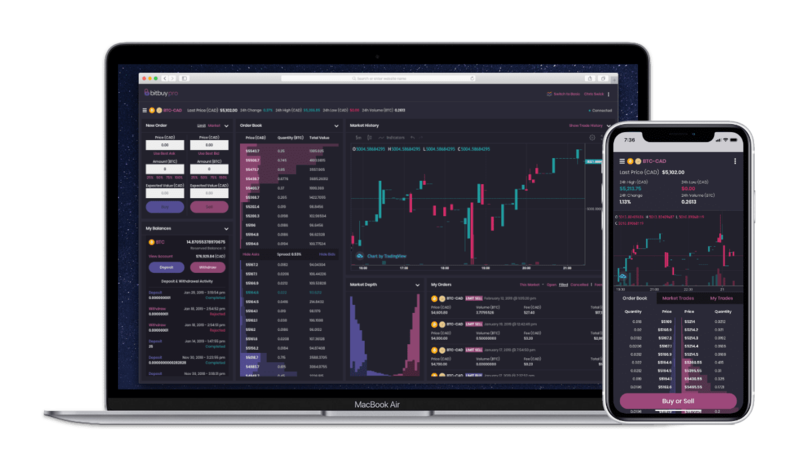 Provide a platform for experienced and professional crypto traders. Fiat to Crypto exchanges helps you buy Cryptocurrencies in exchange for Fiat money. These exchanges have been designed to be as beginner-friendly as possible. Coinbase and Bitbuy are perfect examples of fiat-to-crypto exchanges. You can use BitBuy to directly buy Bitcoin, Bitcoin Cash, Ether, Ripple, and Litecoin. These exchanges help you exchange certain cryptos like BTC, ETH, BCH etc. for other cryptocurrencies. Binance is a fine example of a crypto-to-crypto exchange. These are the exchanges that are geared more towards the experienced traders than the beginners. Adding everything up, these five exchanges have had a staggering $9,544,591,940 worth of transaction volume in the last 24 hours! Alright, so that’s a lot of numbers. So, where exactly do you get started? If you are Canadian then the answer is pretty straightforward. Bitbuy. Bitbuy is a Canadian owned and operated digital currency platform. Founded in 2013, Bitbuy has consistently provided Canadians a dependable and trustworthy platform to buy and sell their cryptocurrencies. As already explained, Bitbuy was a fiat-to-crypto exchange where you can deposit Canadian dollars directly onto their website, to be exchanged for digital currency. Their headquarters are located in Toronto, Ontario and their services are available for Canadian traders across the country. Another interesting feature of Bitbuy is that there are no fees for withdrawing your cryptocurrency. You can send your crypto to a private wallet, free of charge. This makes it ideal for long-term investors who want to hodl on to their cryptocurrency. Your first-time purchases will be held for one to three business days for security reasons. If you have a verified account and have made more than three transactions on Bitbuy, your funds will be available in real time. Ok, so how do I become a verified member? A color copy of your passport or driver’s license. A copy of a bank statement or utility bill showing your name and proof of address. A photo of yourself holding your government-issued ID. If the account is a business account, then additional documents proving “authority to act on behalf of a corporation” should be submitted. The entire verification process usually takes between one to three business days. Access the support section of the site and use the “Submit a request” button. Use the live chat support. Contact them via email or phone. If you live in Toronto then you can simply go to their office if needed. Bitbuy uses Secure Socket Layer (SSL) technology to protect users. They also utilize two-factor authentication for additional security. Bitbuy.ca operates with a 95% cold storage reserve for all digital currencies held on the site and executes daily encrypted and distributed backups to avoid any implications or attacks. Buy cryptocurrencies directly with Canadian dollars. Searches for competitive rates across multiple exchanges. Users can choose from several payment options. Bank Wire payment method allows for high deposit limits. Allows for quick CAD withdrawals. Only offers BTC, BCH, ETH, XRP, and LTC. If you are a Canadian citizen, then you can go to Bitbuy right now and create your own account to start trading. Click here to create your account. NOTE: Diagrams in this section have been taken from IG. 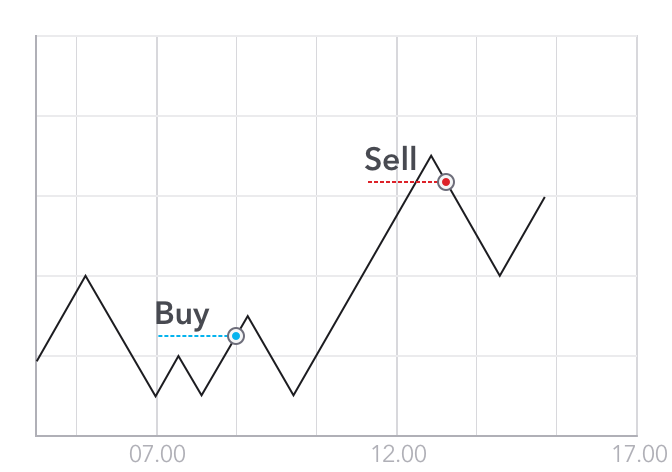 Day traders open and close their position within one single trading day. This strategy works for traders who want to take advantage of short-term opportunities in the Bitcoin market which may come about in light of developing news or emerging patterns. 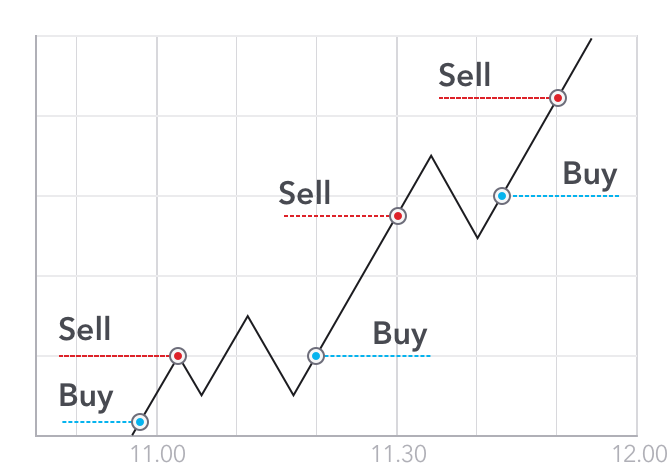 Swing traders catch trends in price movements the moment they form and hold onto it until the trend experiences a reversal.This strategy is great if you want to take advantage of market momentum. If you are a long-term holder or you want to just get into the crypto market and try out your hand then passive trading may be ideal for you. The idea is as straightforward as it is timeless. Wait for the price to drop to a certain level and buy in. Wait for the price to go up to a certain level and buy out. 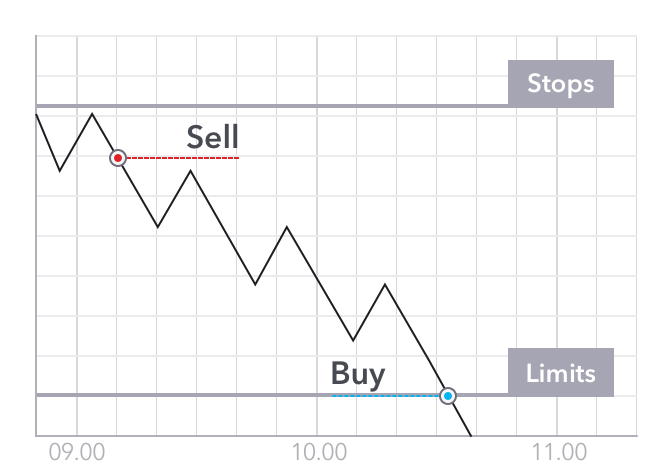 Unlike the other forms of trading, the time length between buying and selling can last for several days, weeks, months, and even years. The two most important tools to keep in mind while trading, are fundamental analysis and technical analysis. The developer activity surrounding the coin. How many projects or positive developments is the project going through. Recently, Cardano’s value jumped by a significant amount after they released the mainnet version 1.5. The mainstream integration of the coin. Is some company or mainstream platform integrating the coin? If yes then that is going to significantly affect the price. Stellar XLM gained almost 50% in March 2019 after IBM announced the launch of World Wire, a model for cross border payments using the Stellar protocol. Significant world events can alter the price of the cryptocurrency as well as has been already discussed in this guide. Keeping yourself up-to-date on all the current events is imperative for solid fundamental analysis. 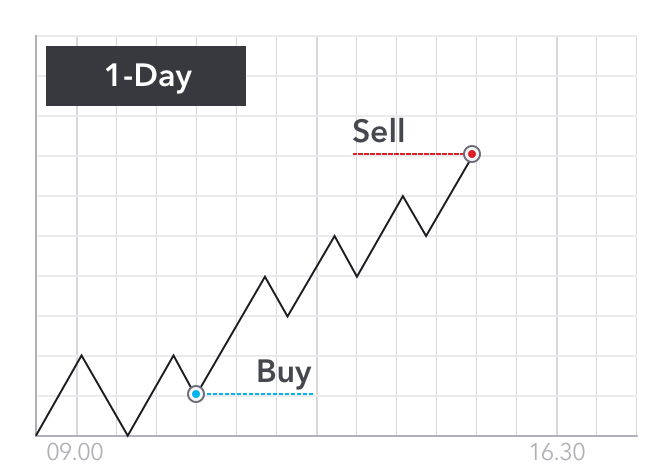 Technical analysis is a tool, or method, used to predict the probable future price movement of a currency pair, cryptocurrency pair, or a stock. It can be a creative and dynamic which helps you gain a very deep perspective into the coin. The core assumption behind Technical analysis is thus: Regardless of what’s currently happening in the world, price movements speak for themselves, and tell some sort of a story that helps you predict what will happen next. You can read the first part of our two-part guide on technical analysis to gain more insight. Because of crypto’s volatility and the general public’s FOMO, people tend to overtrade. One thing you need to understand is that trading cryptocurrency is quite like gambling and isn’t an exact science. Don’t overplay your hand especially when you lack disposable income. Sure you can gain a lot but you can lose a lot as well. Trading without any strategy is a fool’s errand. Take your time and do some research. Learn about the coins and learn about certain trading strategies. Learn about the exchanges and choose the one which will benefit you the most. Also, people tend to invest in the same coins that their friends are investing in. While there is nothing in taking advice, you should combine advice with your own research. Fear and greed are the two most common emotions when it comes to investors. Fear can cause you to not dive into a coin when it is ready or it can cause you to leave your trade prematurely. Conversely, greed can cause you to have blind and baseless faith in a particular coin or it may make you hold on to a trade way past its expiry trade. Do not give into emotions, stay as rational as possible. It doesn’t matter whether you are a beginner or an expert, you will make mistakes. However, what separates the professional traders from the novices is the ability to learn and grow from those mistakes. If you misread a pattern the first time then that’s an honest mistake. If you misread the same pattern a second time then it is completely on you. Actually, this point provides a pretty awesome segue into our next section which is…. Every exchange has its own wallet, however, it is not the safest of options. If you plan on holding on to your crypto for a long time then you should look into cold wallets. The two kinds of cold wallets that we would recommend are hardware wallets and paper wallets. Paper wallets are an offline cold storage method of saving cryptocurrency. It includes printing out your public and private keys in a piece of paper which you then store and save in a secure place. The keys are printed in the form of QR codes which you can scan in the future for all your transactions. The reason why it is so safe is that it gives complete control to you, the user. You do not need to worry about the well-being of a piece of hardware, nor do you have to worry about hackers or any piece of malware. You just need to take care of a piece of paper. You don’t need to pay any money to create paper wallets. This makes it an economically viable option. You can go to Wallet Generator to create your own Bitcoin paper wallet. Whatever you have learned in this guide should help you get started with your trading. However, you will need to keep learning and to gain more and more knowledge. Having said that, you should be at least ready to make your first simple trade. So, why don’t you hop on to Bitbuy right now and trade bitcoin!